Sammath Naur Pt. 10: ‘Reach!’, plus jan-u-wine’s “And I Don’t Mean To”. 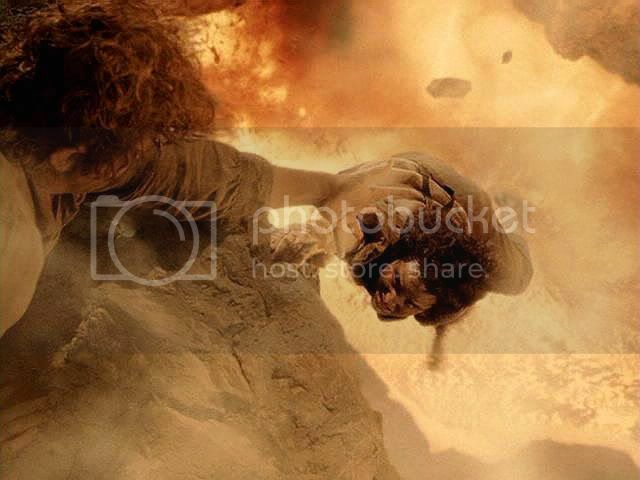 Warning:~Some gory images, although I refrained from posting the really clinical shots of Frodo’s maimed hand. I don’t think this entry requires any discussion from me. The power of the images, and the film scene they recall, are enough to shake the soul of any Frodo devotee. Jan-u-wine’s lyric narrative, And I Don’t Mean To, is written from Sam’s point of view. 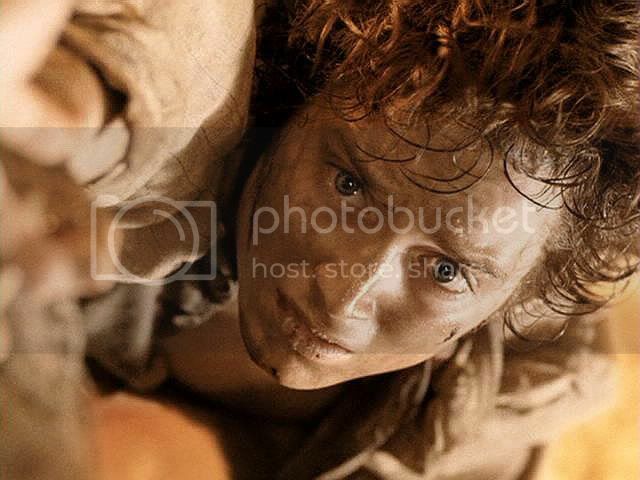 Since my screencapping project has been so focussed on Frodo, I haven't really given Sam his due as a character, in terms of featuring him in frames. Jan’s poem will, I hope, help serve as a corrective. 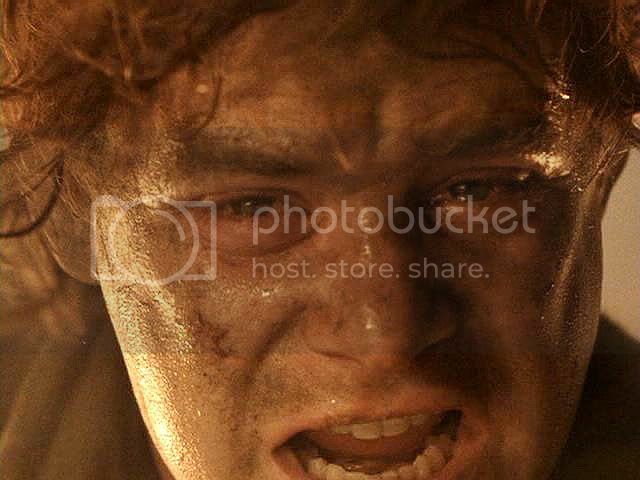 don't you lose him, Samwise Gamgee……..
and me not seeing until too late. as they thinned and grew sparse. to their fiery places with Elvish music. My goodness. This poem is so incredibly gorgeous. Thanks for commenting, Mona. It really does justice to Sam's inner voice, or what might be his inner voice at this time, I think. Oh my gosh! Thank you, Mechling. It's a killer, no? How it warms me to think of Sam thinking these things. Thank you, Mews. 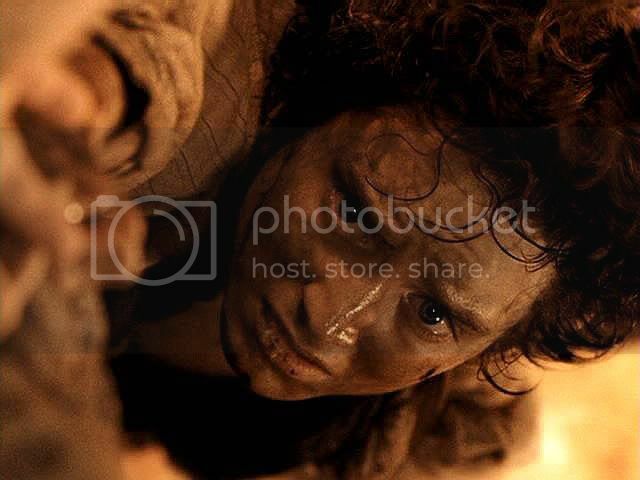 Mercy really comes to the fore in this scene, even if it is a matter of urging Frodo to have mercy on himself. PJ and co. did a great job here. 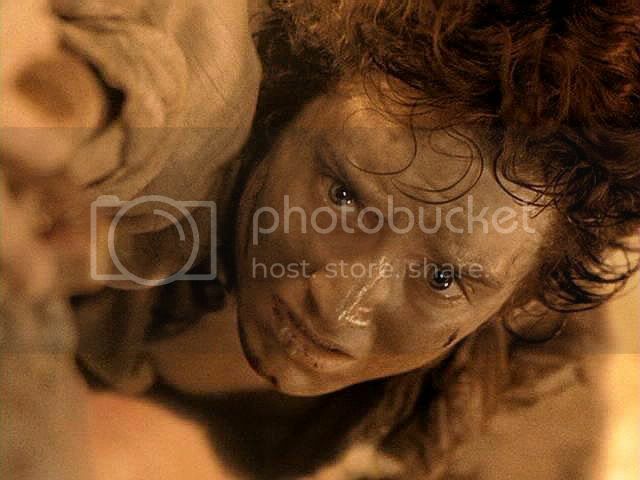 I love the part in Jan's poem when her Sam urges him to see the Shire, and all the things he loved and which he gave so much for, in his eyes so that Frodo's will to live might be revived. 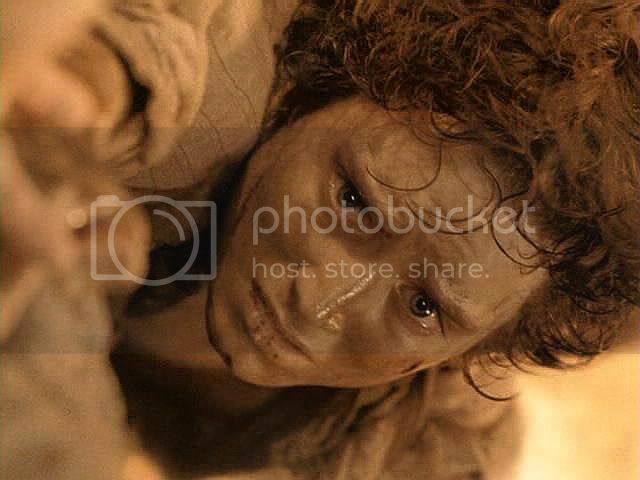 "‘But do you remember Gandalf’s words: Even Gollum may have something yet to do? 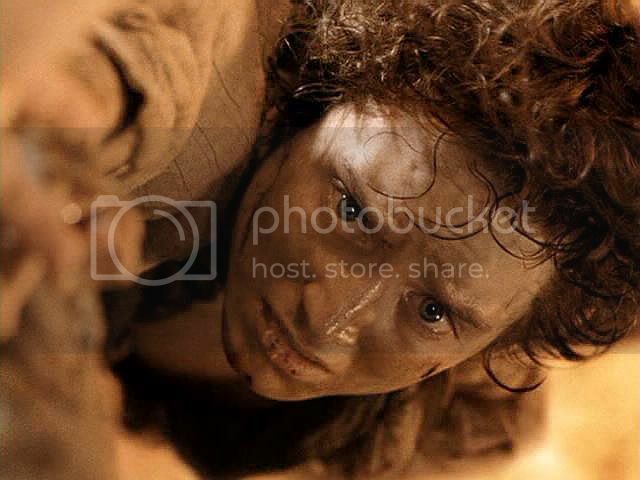 But for him, Sam, I could not have destroyed the Ring. The Quest would have been in vain, even at the bitter end. So let us forgive him!" 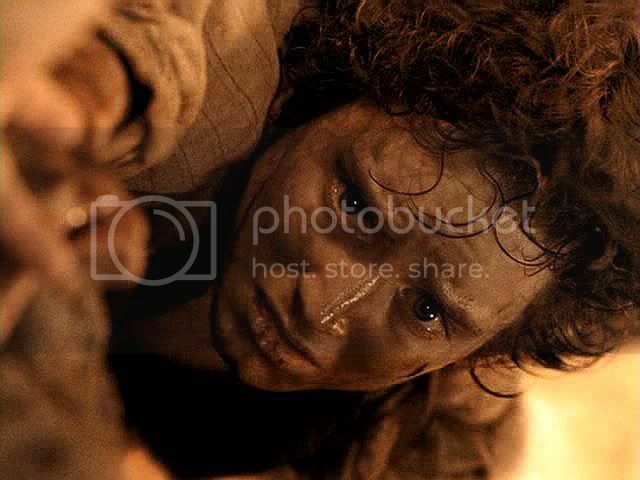 I think I read once that Tolkien said the main message of LOTR was that of mercy. 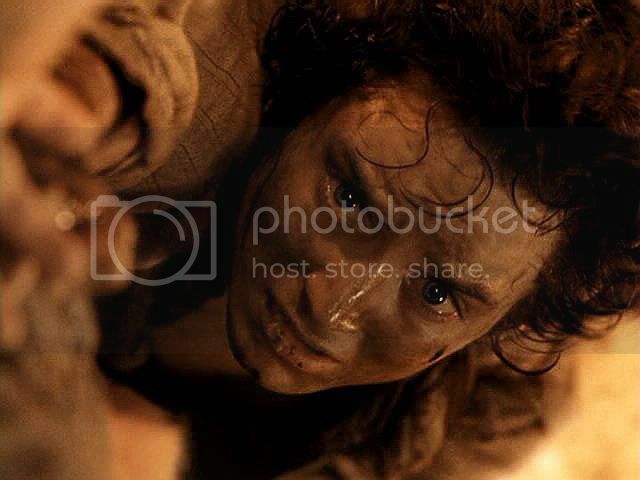 Forgiveness was the trait that both Bilbo and Frodo had that carried them through and helped them to succeed as far as they did. It's interesting how the light changes in your screen caps, and I recall how the light and sound undulated during the movie adding to the drama. 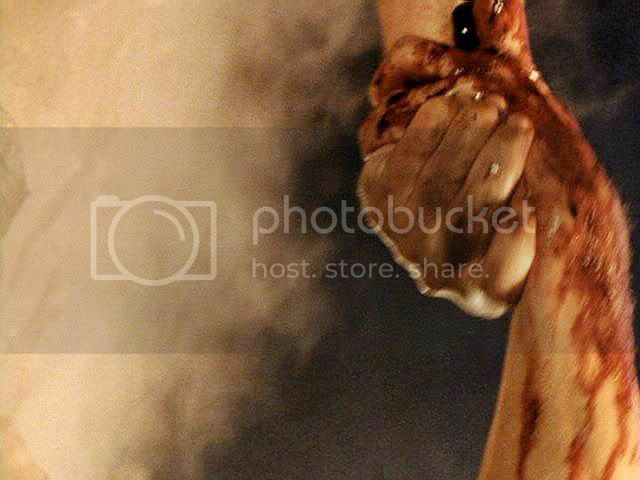 Such powerful images. 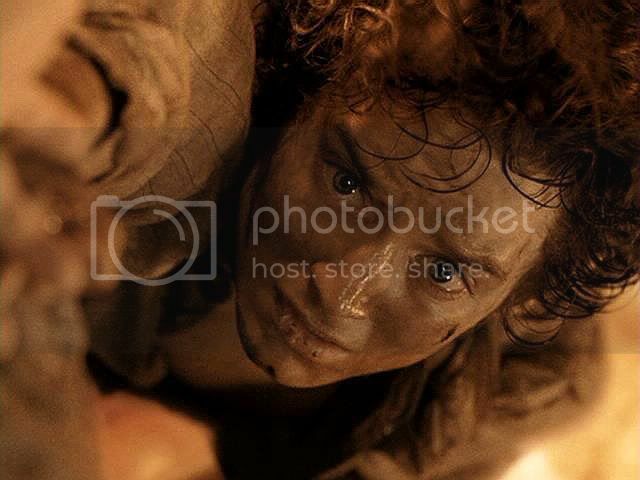 Something I just now noticed looking at the last screen cap is that even after the ring has melted, we can still see the script that was written on it! Amazing. That is so true, Primula. 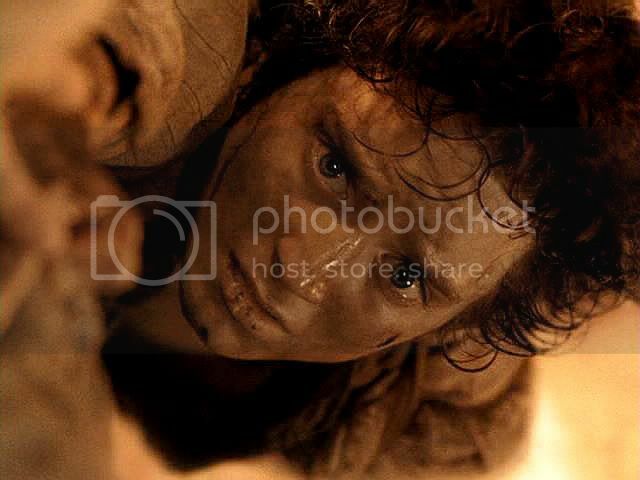 Although Frodo, as suggested to Mews above, seemed to have difficulty showing mercy to himself. I thought the flashing back and forth of brilliant and shadowy lighting in this scene worked superbly. 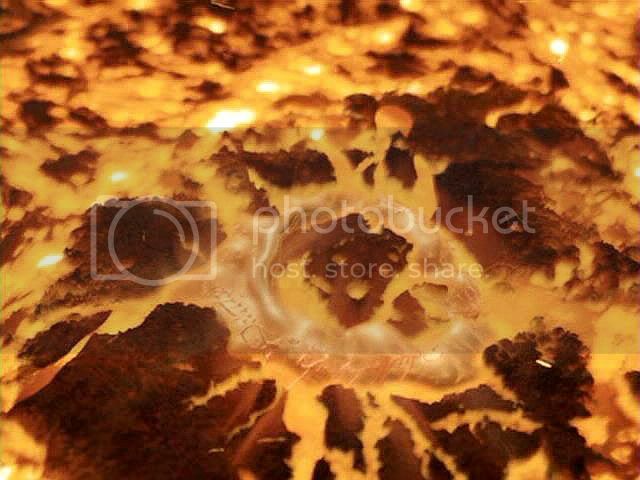 At a literal level it stood for the flaring up and dying down of the fires in the chasm. 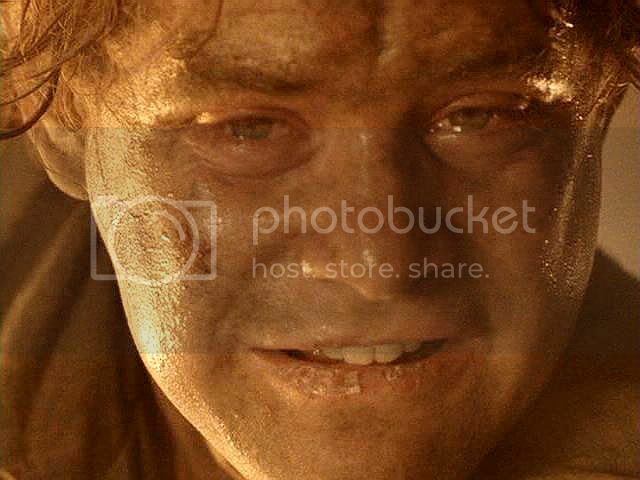 But I think it "read" at a deeper level as the interplay between light and dark within Frodo, and within the heart of the story, brought to a climax in the Sammath Naur scene. Yes, capping the scene I, too, saw that the Ring, once it's fiery letters emerge as it floats on the surface of the lava, retains the letters, the letters dissolving when the Ring does. *Very* cool touch. I love that in Tolkien's world generally--the depth and richness of a shared past (in this case between two people and not wider cultures), and the multi-layeredness of memory; things which I think jan-u-wine picks up so well. Thanks so much for offering your thoughts, Aliensouldream. Wonderful work from both capping and poem. 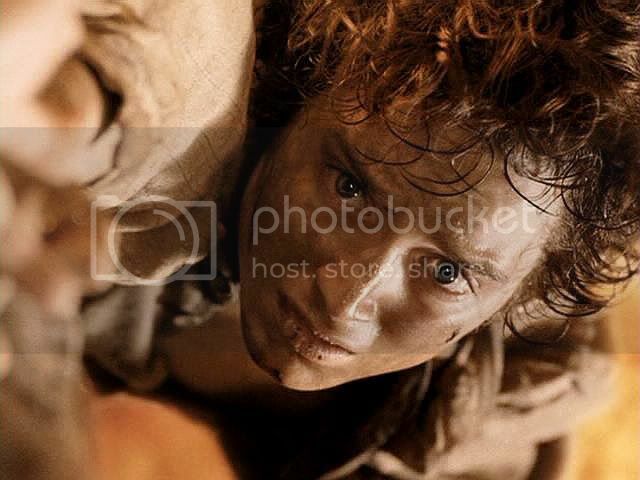 Sam's last great effort and the way the way their eyes speak for them just killed me. Their eyes really *are* wonderful in this scene, I agree. Remarkable! 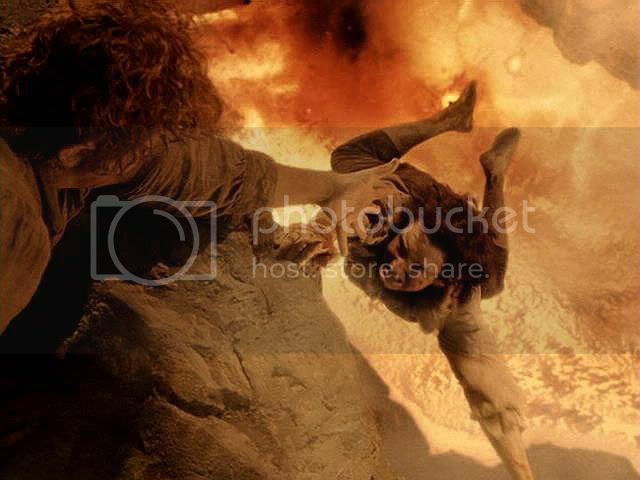 It really is a chilling touch in the film that the Ring holds its physical form for so long atop the lava, and finally disintegrates only after Frodo has made a conscious choice to abandon it and return to the living. I can't thank you enough for this fascinating essay you've shared with us. It has made me think very hard and reconsider my assumptions both about the book and the movie. 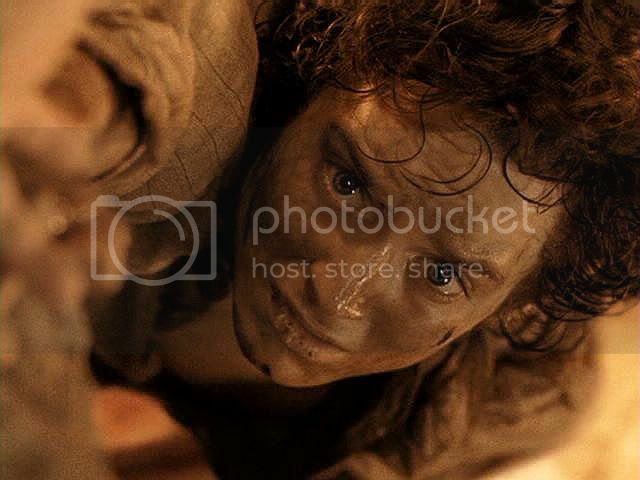 It really is a very interesting thing that the film does in this scene, by having created the Frodo-hanging-on scene, and only showing the Ring melting (being destroyed) *after* Frodo has made the interior decision to live. Not a book concept, but a very cool one which works superbly in the screen adaptation. Last winter was very warm over here, too! It had everyone very worried. 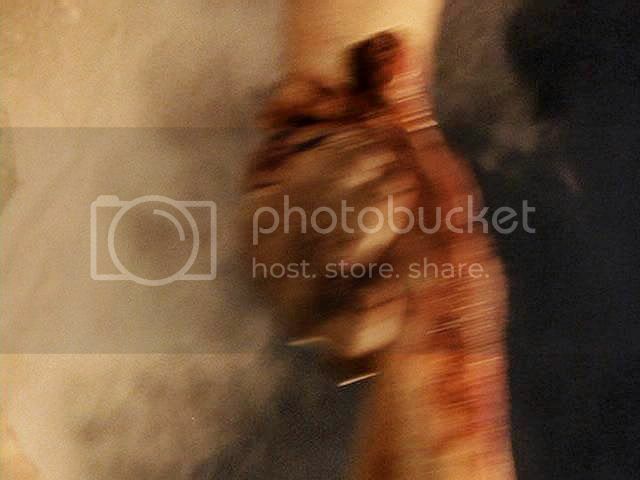 "and a hand reaches, holds to mine, blood-slick yet sure, and a mind wrenches away from gold, dying there in the chasm below, and a heart chooses"
This post is KILLING me! And I will die happily! I'm so glad I visited your wonderful little home here, mechtild. I won't miss a single word or image. I'll come back, you can be sure. Never would I ever leave you ! It was the best day of the year so far! Because you commented, Julchen, I read this post again. And the poem again. As you said,"This post is KILLING me!" -- yet, "I will die happily!" It *hurts* to read this, and it makes me cry, but it is so darned *GOOD*!!!! That's half the reason it makes me cry--like crying over a sky full of wisps and puffs and towers of clouds at dusk or the wing of a dragonfly up close. For me, to see beauty causes pain, but the more painful the beauty, the sweeter it is. I suspect this is true for you, too. 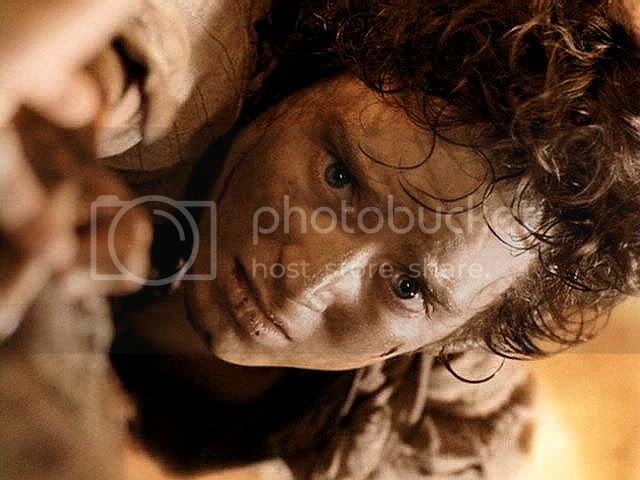 Perhaps of many who love Frodo and LotR. Thanks so much for all these gorgeous comments you've been posting all aftenoon, Julchen. They restore and swell my spirit. I pray that neither of you, dear friends, will die (happily or no) upon the *points* of this poem's blade. But I do very much appreciate how it has touched you both. Your feelings, fresh with reading, allow me to revisit my own.